TheDarkeowl: NOTW 24: National Beer Day Nails! It is NATIONAL BEER DAY today! Who wouldn't love that?! I thought this would be a great, fun day to design some simple nails. Trust me, these were a doddle. Well, if you're sober they should be! I started off with Collection's Sherbet Lemons' as a base, which is a really bright yellow colour. 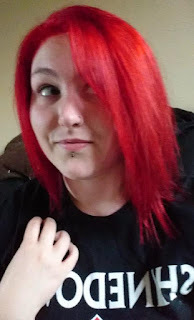 This is started to get a little difficult to work with, I've had it quite a while and it took 3 coats to become opaque because it was pretty streaky, but it ended up ok! 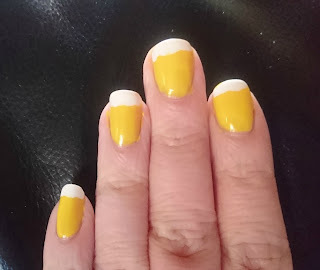 I then used a large dotting tool and Sally Hansen's White On to create the head of the beer! I then finished off with my Barry M Wet Set top coat and that was it! I wish I had some yellow toned glitter as I think this would have been a great addition to create the look of bubbles! The look still works though and it was so so simple to create!